As Nashville continues to swelter, the perfect summer jam arrives just in time to help make things a little more bearable. 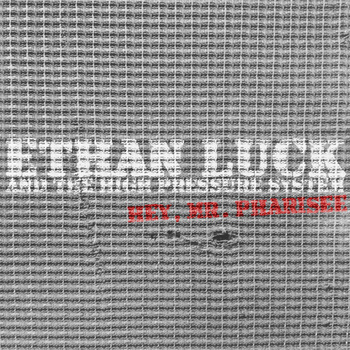 Punk/ska journeyman Ethan Luck just released his first solo single "Hey, Mr. Pharisee" under the snazzy moniker Ethan Luck and The High Pressure System and it's a slice of some classic, early roots reggae goodness. While Ethan's current main gig is drumming for Relient K, he's been writing and recording in his garage in his spare time and the results sound so stinkin' good! Ethan wrote, recorded and played mostly everything on it (guitar, bass, drums, percussion, organ and vocals) and then had a few buddies drop by for the horn parts (former bandmates Dan Spencer and Bret Barker) and some bgv's (current bandmate John Warne). "Hey Mr. Pharisee" is available via Bandcamp for only $1 and I guarantee your return on investment will be paid out in spades. With this song on repeat and plans for an EP by the end of the summer, the next few months might not be so bad after all. 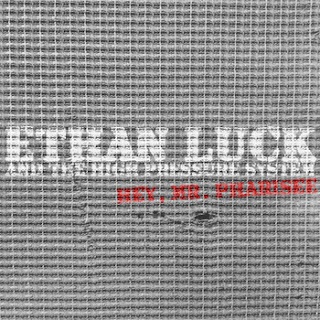 Ethan posted some info about "Hey, Mr. Pharisee" on his blog, but digging the song so much and being the overzealous inquisitor that I am, I just had to know more. I asked Ethan a few questions about the song and about his new solo endeavor and he was nice enough to provide some cool answers. While the bulk of your career has been spent behind a guitar or drum kit, you've had experience behind the mic from your days in My Red Hot Nightmare. Now that you're back up front, what are the main similarities and differences you anticipate or have already experienced? Ethan: To me, there's not a lot that's different about being the guy with the mic. In the Supertones, I did a lot of back up vocals, so I was up front a ton. The main difference now is that in between songs, I'll have to say something and that can be awkward if you're no good at public speaking, like me. I've learned from my little experience as the guy with the mic that it's best to keep it short and to the point. Or, just say nothing and go right into the next tune. The sonic vibe of your new single "Hey, Mr. Pharisee" echoes the ska/reggae feel of some of your previous bands like The Dingees and The Supertones. What first drew you to this type of music and what are some of your favorite songs or artists within the same vein? Ethan: This is true. I definitely wanted to go with the Ska/Reggae feel that I've done so much in the past. I tried writing so many other styles I loved, but nothing felt as right as this. With The Dingees, we wanted to be The Clash, but with some modern influence at the time. With The Supertones, most of the stuff we did was very 3rd wave and modern. Now, with this solo thing, I'm taking influence from mostly old music. Lately, all I've been listening to is Toots & The Maytals, Peter Tosh, Bunny Wailer, Lee Perry, The Skatalites...etc. Plus, a lot of great bands that sound like they were born in the wrong decade like Hepcat, The Aggrolites & Deals Gone Bad. Simply put, I want to keep this pretty traditional ska/reggae with influence creeping in from the other types of music I know and love. While it's not a direct analogy, the lyrics of "Hey, Mr. Pharisee" seem to draw from the story of The Good Samaritan. Was this song written from a personal experience with a specific person or from a collective conglomeration of uncaring attitudes and self-absorbed individuals? Ethan: It was written from personal experience. I had help, lyrically, on this one from my friend and solo artist, Shane Tutmarc. We sat on his porch til around 2am one night. I was telling him the subject I wanted to write about and a slew of stories to follow, but I wanted it to be very general and not too personal. Shane encouraged me to get personal and I'm glad he did. The lyrics may come off as fairly plain, but there's a ton of history & heart in there. Even though the song is very personal, I think the main point of it is applicable to anyone of any faith or way of life. The other tunes I'm writing, for an EP, will be pretty personal. I have a lot of stuff I've been through in my 33 years and I've rarely been able to write about it. It's time! As a known vinyl enthusiast, will you be putting out any physical copies of "Hey, Mr. Pharisee" on wax? Ethan: I would love to put anything I record on vinyl! I don't think this song, by itself, will be pressed. When I end up doing an EP, I would love to do a 7 inch or something. Maybe I can include "Hey, Mr. Pharisee" on that as a bonus. Either way, I can't wait to have some stuff pressed and I'm sure I'll have it done at United Record Pressing, here in Nashville. Gotta keep it local. From this song to anything in the future, I really wanna do it as DIY as possible. I'm recording it all myself and selling it all through bandcamp. It's fun to do whatever you want, however you want...in the comfort of your garage.